The issue of teenagers and technology has hit the news in recent times, particularly around the impact that it might have on their mental health and the quality of their sleep. At the ELT (Education and Leadership Trust), we embrace the use of technology in the classroom, with two of our schools being BYOD (Bring Your Own Device) environments. However, we want the students in our schools to learn how to use technology appropriately and learn how to manage the distractions from the tech in their pocket. We have a comprehensive set of lessons through the key stages on esafety and the acceptable use of technology. Most students can tell you how to keep yourself safe online and how to protect your privacy. Our digital leaders regularly deliver assemblies on safer internet use. When we got the chance to send some of our students to a ‘Be Strong Online’ course run by The Diana Award, the digital leaders were our natural choice. However, when they came back, they were reflecting on the fact that although they often know what to do, they don’t often reflect on whether they do it. We decided it would be helpful to write a form time activity based on some of their experiences. 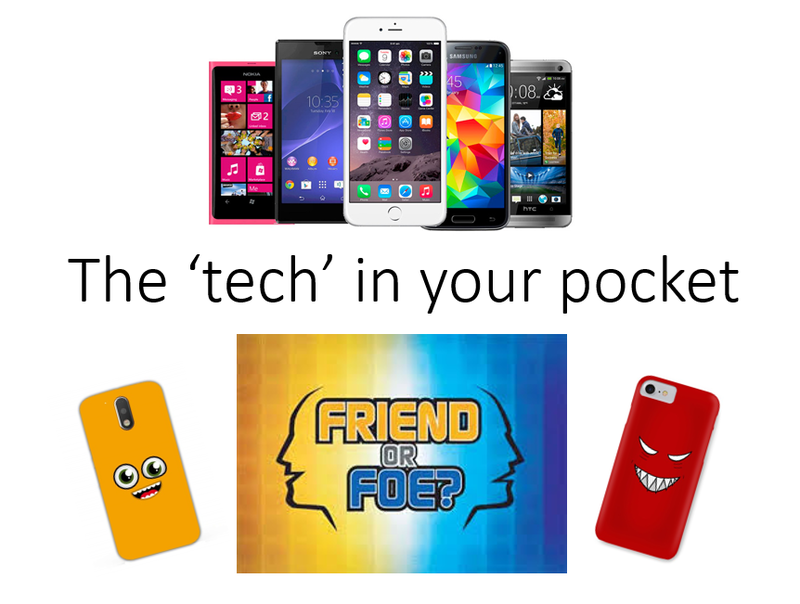 So I set about creating a form-time activity: The ‘tech’ in your pocket – Friend or Foe? It starts with a quick quiz – guess the logos. Scores were very high on the top line – Snapchat, Whatsapp, Instagram and other social media sites. Scores were lower though when we got to revision/learning sites such as GCSEPod or MathsWatch and very few scored well on the final few symbols including Childline, Talking Health and Kooth (online access to counselling services for young people in Manchester). This despite these sites being advertised around school and mentioned in previous assemblies. This last section was supported by the research from the ‘Young Health Movement’ and their short video ‘Status of Mind’. The activity ended up much longer than I originally anticipated, but the students encouraged me and so I sent it to all tutors in our three Trust schools, with an advisory ‘two registration periods’ to cover the content. I really related to that Miss. Students in Year 11 said that they had enjoyed the time to think about how they used their phones and talk about the social pressures they feel exposed to.